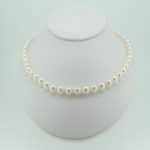 Bridal Jewellery Classic and elegant bridal jewellery. 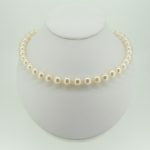 Welcome to our Pearl Jewellery online store. We have prepared a great choice of items to fulfill your needs! 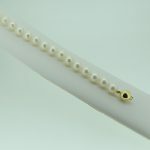 M H PEARL JEWELLERY is UK based store with handmade cultured freshwater and cultured akoya pearl jewellery. 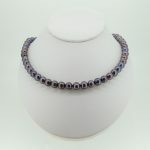 All our products are made in our workshop so we can make jewellery to your special order! 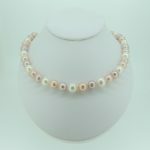 We offer wide range of white freshwater pearl jewellery, but also you can find different colours like black, pink, peach freshwater pearls. 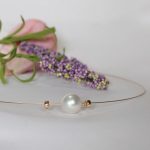 In our shop you will find pearl necklaces made of the genuine cultured freshwater pearls, and we can make matching pearl bracelets, earrings or peandant. 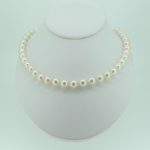 Our pearl jewellery is a great idea for a gift for every woman and every occasion. 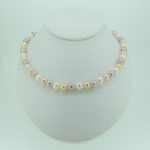 Cultured freshawater pearl jewellery is ideal as wedding and bridal jewellery, birthday or anniversary gift. 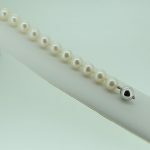 If you have broken/stretched necklace or bracelet M H Pearl Jewellery offers restringing service for your beads and pearl jewellery. 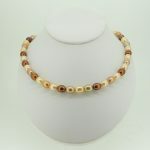 Also we offer matching service for lost earring on to length necklace or bracelet.